EPIG ELECTRÒNICA I INFORMÀTICA INDUSTRIAL, S.L.U was born on 2001 as the successor of EPIG S.C.P company which was born in 1994. It is an engineering company which has always been specialized in the design and production of test benches, automatisms, instrumentation and software to control equipments, functionality test and custom projects. EPIG takes special care during the design phase. 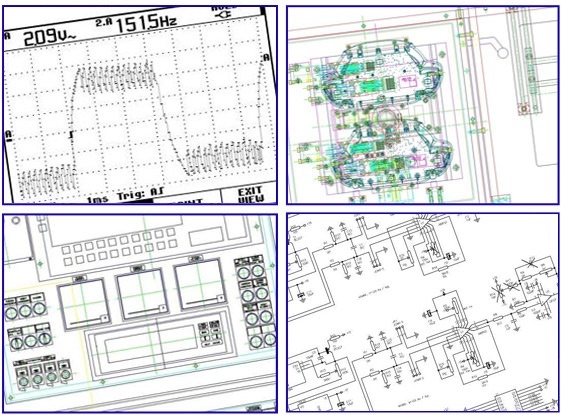 One of the most important facts to exit in the development of personalized equipments is the coordination of all the different specialities implicated in the project as the mechanic, electrical, electronic and pneumatic designs and also, the control software. Full development of test benches and functionality controls to laboratories and/or production industrial sectors. Digital and analogical detection. Vision inspection. Measurement of physical parameters (force, torque, acceleration, speed, position, temperature …) and electrical (voltage, current, resistance …). Develop applications of power electronics. Design general and instrumentation amplifiers. Power electronics: welding by resistance converter. Control systems based on PC and/or PLC. Direct control or Scada type. Development the updates for the old equipments. Change the electric, electronics and/or informatics components keeping the same mechanisms. Projects collaborating to the own company workers. Visual Builder (National Instruments), InSight Explorer (Cognex), Arduino, communications protocols.